Kentucky ranks 3rd in the nation in total air cargo shipments. That is because Kentucky business is served by not one but two international airports plus major shipping hubs, giving companies a leg up on getting products, papers and packages into the global stream of commerce. Kentucky offers the UPS World Port in Louisville, DHL Americas hub in Northern Kentucky and several large FedEx ground hubs throughout Kentucky. Due to this strong presence by the world’s most prestigious logistics companies, products manufactured in Kentucky can get anywhere in the world virtually overnight. 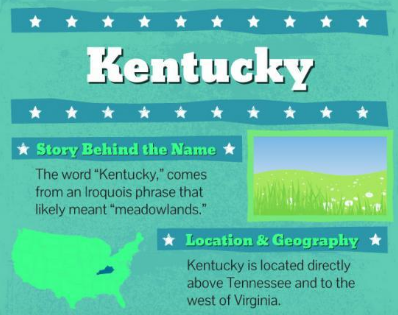 Kentucky is well served by 19 interstates and major highways, major rail networks, barge traffic on the Ohio and Mississippi rivers, five commercial airports and dozens of regional airports. Our ideal transportation network can move products easily and efficiently by air, rail, road and water to all points of the globe. Additionally, Kentucky is in the midst of a broadband revolution – bringing high-speed internet to every county in the Commonwealth. Kentucky ranks second lowest in the nation for cost of doing business according to CNBC. Kentucky’s innovative and progressive tax incentive programs also provide the flexible financial assistance businesses need when locating, expanding or reinvesting in the state. Not only are our labor costs below the national average, Kentucky offers workforce recruiting and training assistance for new and existing employees at no charge. We also offer a personalized approach to your workforce needs – you tell us what you need, and we custom-design a solution, saving you time and money. Last year alone, we trained more than 80,000 people and supported more than 4,000 companies. Businesses want fast, efficient and personalized service, and Kentucky provides it. We listen to you, help identify your needs and then we work with you one-on-one to devise solutions that will maximize your success while lowering your lower your cost of doing business in Kentucky. Whether you are across the street or across the globe our team is eager to assist your business grow in Kentucky. Sound inviting? Come for a site visit — call 859-319-5000 to schedule.